Getting ready for an amazing safari in Africa? You may already have the destination in mind, plane tickets booked, and reservation at a dream inspiring African lodge. The next step is to gather all the safari gear you will need to get you through this trip. We have been on over 100 safaris and can’t recommend sturdy and quality gear enough. Why? If you go cheap on safari bags or safari clothes in Africa and something goes wrong there is no replacing them on short notice. However, with so many options to choose from it can be hard to pick a safari bag that matches your style and comfort. Don’t worry though! We’ve got you covered with our favorites ranging in all shapes, sizes, prices, and even colors. Texbo has a few different bag variations, and they all are high-quality leather products that are built to last. 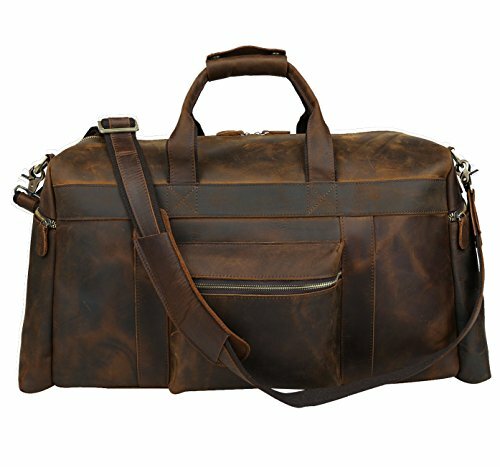 This leather bag is thick, durable, maintains a vintage look despite being brand new. The bag has two side zipper pockets on the outside, an interior pocket, a front zippered pocket, and one main compartment large enough to fit all you need for a week-long safari in it. It’s also sturdy enough to protect electronics like a laptop or a safari camera. The bag itself weighs 1.8kg. I’ve recommended Drakensberg safari luggage before, and that’s because I absolutely love it! They specialize in vintage travel bags made out of canvas and leather all going through an individual inspection before being sold. Drakensbergs’ attention to detail makes sure that each product is high quality and one of kind. 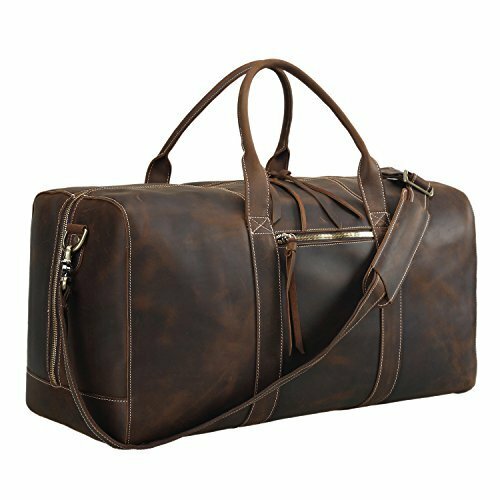 The Kimberly Long Weekender bag is made of out of buffalo leather and canvas and is extra large for long trips like an African safari. This bag has three exterior compartments and one main compartment. The bag weighs just under 5 lbs. 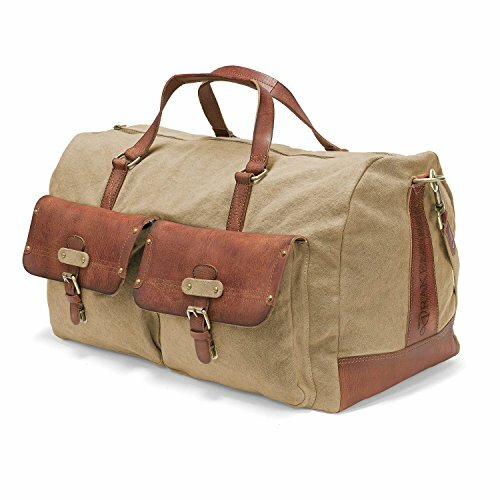 In my opinion, this is the best safari duffel bag. If you’re looking for one of those traditional Italian designed leather bags then the Polare is your answer. This 23″ bag is stylish, strong, and made of all natural cowhide. If you think it looks great in the photos, just wait until the product ages a bit! This bag is beautiful for both men and women on safari and at less than $200 the price is great too! When I saw this bag all I could say was WOW. This genuine leather bag is the perfect size for a short safari. There are two side pockets that are perfect for accessories and a detachable shoulder strap should you wish to remove it. 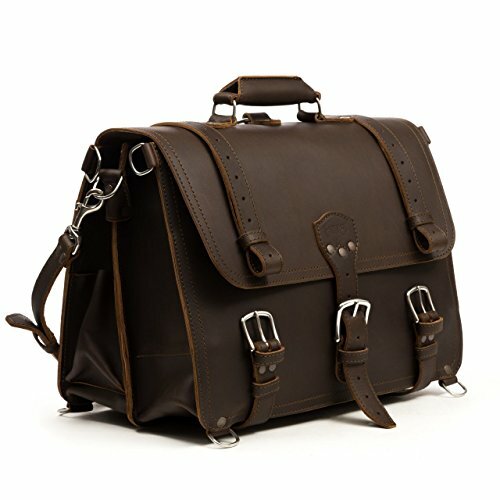 For $100 this bag is a great value for anyone hoping to get a quality product without spending a fortune. Note that the bag weighs about 3.5 lbs. If you are looking for a smaller or bigger bag than this check out Komal’s full Amazon page. This is another Saddleback Leather product that is almost too beautiful to describe. This safari briefcase is made out of 100% full grain boot leather and has a 100-year warranty backed by Saddleback. The briefcase is carry on size with an extra flap to hide your passport, cash, and other valuables. There are four interior pockets and three exterior to help organize. This safari briefcase is by no means cheap, but the good news is it looks professional and sleek to take to work as well. A canvas safari bag is a great option if you are trying to steer away from all leather products. The S-Zone Canvas bag is fashionable for both men and women and comes in Gray/Khaki/Black/Blue/Army Green/Coffee colors. 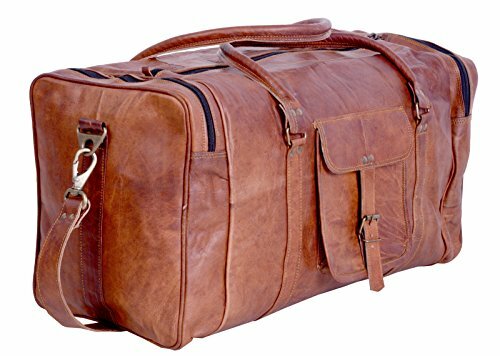 This safari duffle bag is roomy and good for those not traveling with much while on safari. It can be used as a carry-on flight bag. Note that this bag still uses leather for the straps and handles and weights about 4.5 lbs. You really can’t go wrong with any Herschel product. In my opinion, this is the best soft sided luggage for safari. At only 2lb this bag is also a great lightweight safari luggage option. 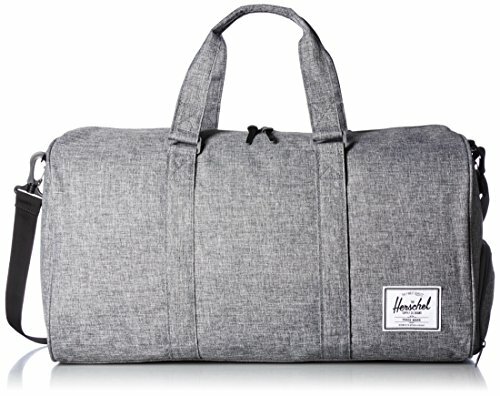 The Herschel Duffle bag is 100% polyester and features their signature shoe compartment for easy and organized travel while keeping to a classic and simple style. 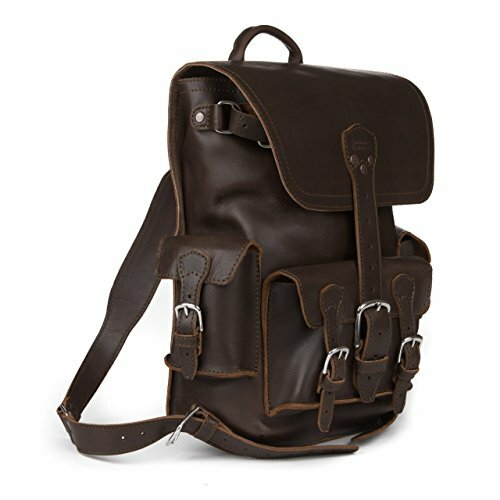 What I like about this bag is that it’s not only a great option for a safari, but also for just everyday life back at home. Take it to the gym, to work, or overnight somewhere and it doesn’t look out of the ordinary. 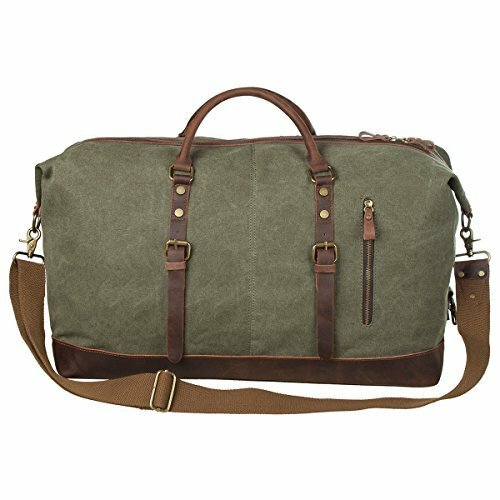 The Aidonger Canvas Travel bag is the cheapest bag on this list. If you are looking for something quick and easy to buy without spending a lot of money, this is your bag. It’s made in China, but hey it’s $30! The Aidonger is 25 centimeters wide and is made out of thick canvas, however, it is still designed for optimal comfort. It has a lot of pockets – eight to be exact. I like that this bag is hand washable in case you get it dirty while on safari! There are five colors available – black, coffee, dark blue, gray, and khaki and plenty of other affordable options on the Aidonger Amazon page! For those that prefer not to carry their luggage everywhere the Travelpro safari 4 wheel trolley bag is the perfect option. Yes, the bag is 100% polyester, but it features a top water repellent layer, so you can get caught in the rain without worrying about your leather. 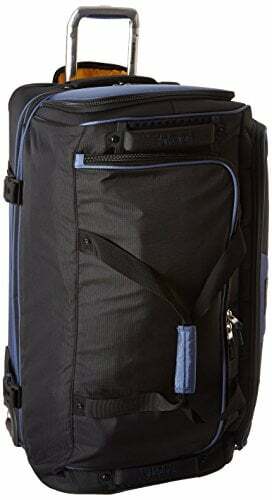 The bag itself is durable and has wheels that are meant for high mileage. This bag has been known to handle a big load, so you don’t have to worry about not being able to fit your safari hat, safari boots, and safari clothes all into it. Note that with the heavy duty wheels add on this bag come in close to 10 lbs. What makes a great safari bag? 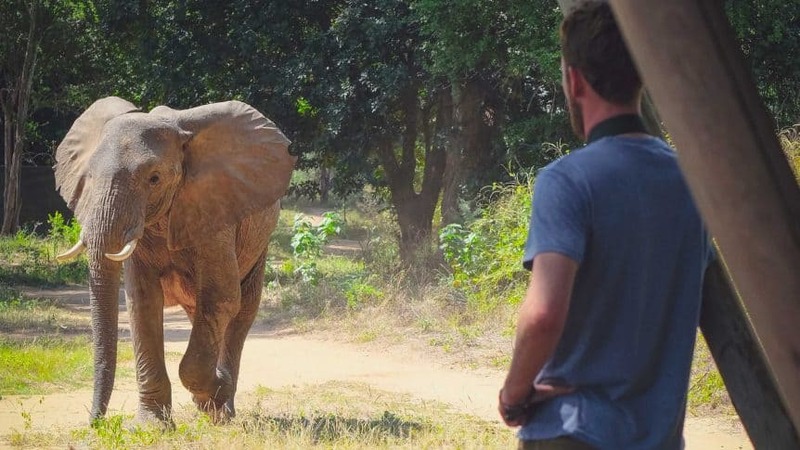 You’ll want to make sure that your safari bag adheres to the size restrictions enforced on the small bush and charter flights. Many African lodges are remote so chances are you may need to hop on a bush flight to start your safari. Most bush flights allow a maximum of 30 kg on the plane. If taking a chartered plane you will most likely be flying on a Cessna 206, Cessna 210, Cessna Caravans, or Twin Otters and these planes get full and cramped fast! Speaking of airline restrictions many small aircraft carriers only allow you to have soft-sided bags as your luggage. As mentioned, these planes are small so they have to maneuver and maybe even squash your bag onto the plane. That’s why they impose harsh safari luggage restrictions. This just simply isn’t doable with a hard shell piece of luggage and is why you will need a soft travel bag for safari. You’ll want to make sure you have a safari travel bag that can take all that bush can throw at it. 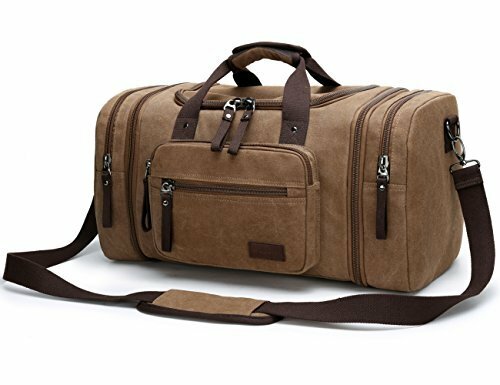 A good rugged bag is essential while dealing with the dirt, dust, elephants (not really), and every other African element. Having rock-solid construction while still being soft and bendable to adhere to the strict African planes is essential. At the end of the day, you want your luggage for safari to look great. All of these safari bags on this list are beautifully designed inside and out.